US-101 TRAFFIC UPDATE (Plane Crash US-101/Liberty Canyon): The #4 & #5 traffic lanes are now open on Northbound US-101. The #5 traffic lane is open Southbound US-101. Please keep shoulders clear for emergency vehicles responding to clear the scene. 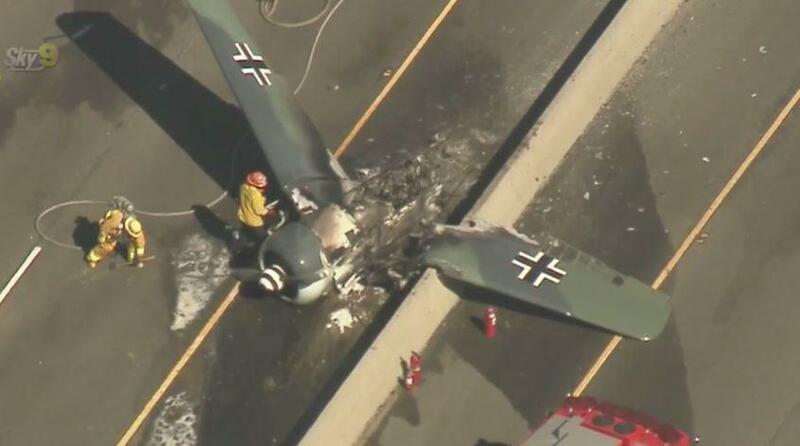 CBS Los Angeles writes the aircraft was identified by officials as a Forney F-1. The plane was seen with World War II-style decals on its wings. The Van Nuys Airport said the plane involved in Tuesday's crash is from the Condor Squadron vintage flying club. Condor Squadron vintage flying club. Officials said the FAA and NTSB will investigate the crash.